Attic black-figured amphora now in Madrid. 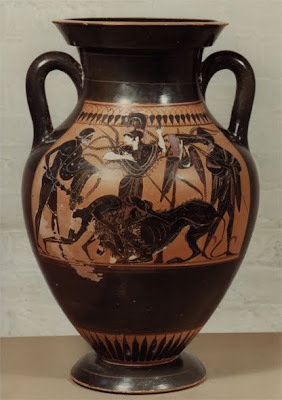 Isman also rehearses the collecting history of an Etruscan amphora acquired in 2009 by the Art Institute of Chicago (inv. 2009.75) [AAMD Registry]. The amphora had been sold by Christie's in New York in 2008 for $116,500 (lot 225).